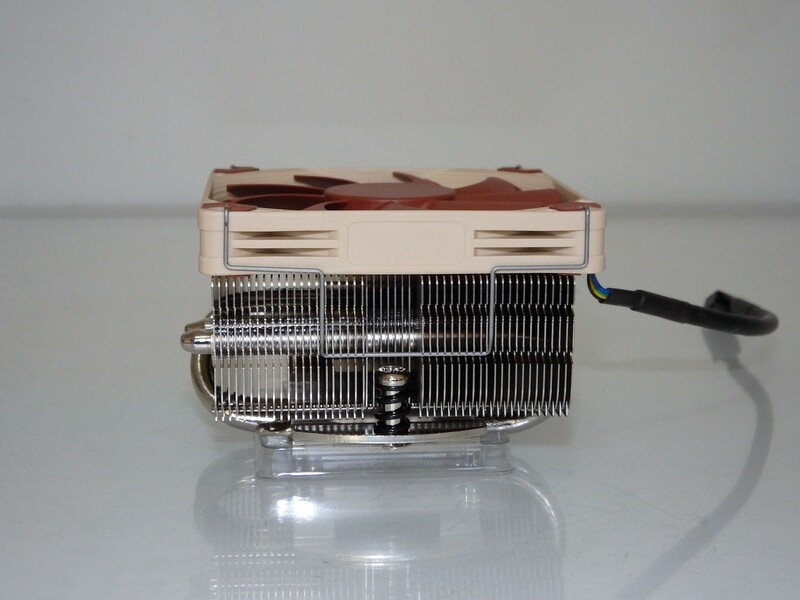 Noctua’s L9x65 is the best compact cooler we’ve seen, read on to see why it’s worth considering for your next build. When many builders buy a CPU, the stock cooler stays in the box. Intel has acknowledged this by dropping them on enthusiast CPU packages, AMD has gone back and delivered a new cooler in the Wraith with a much needed acoustic profile. With the stock coolers ruled out by enthusiasts and even semi-serious system builders, we turn our attention to the after-market options. 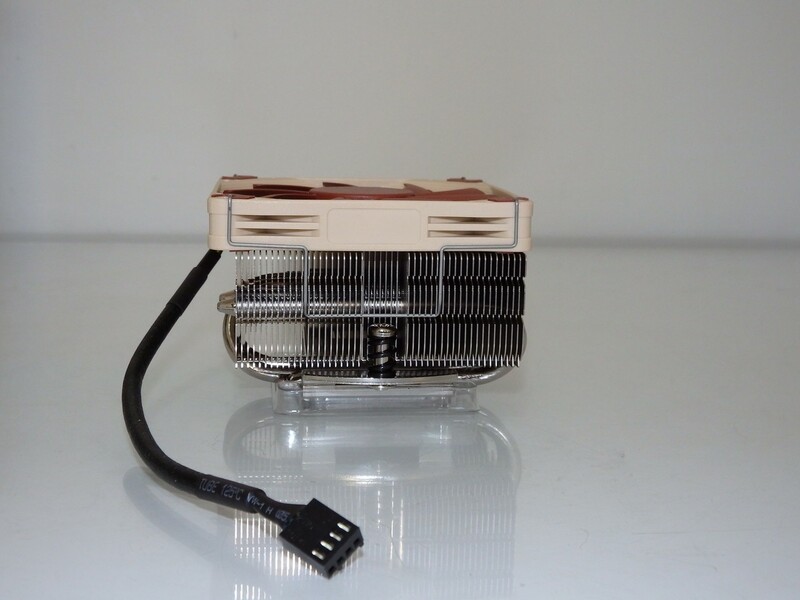 There are the AIO water coolers, tower heat sinks 92, 120, 140 and 150mm, low profile coolers with a 120-140mm footprint and then we see the compact coolers that are either smaller or roughly the same size as a typical stock cooler. If you are using an unlocked CPU and looking to overclock, the chances are that you will need either an AIO water unit or an air cooler with at least a 120mm fin stack for the surface area to achieve best results. The NH-L9x65 will likely tolerate a minor overclock depending on your CPU if you are careful to control the VCORE (i.e don’t use ‘auto’). The NH-L9x65 is an unassuming 92mm cooler, a little taller than its baby brother, the tiny NH-L9i but better in at least 3 ways. 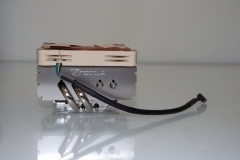 Two heat-pipes and wider fins mean that there is more surface area to exchange the heat away from the CPU. The larger heat sink means that the fan doesn’t have to work as hard as the L9i to keep a CPU cool – even for long periods under extended load. Other benefits over the bigger coolers and AIO units are that the NH-L9x65 goes about its business quietly without getting in the way, it doesn’t take up much space and makes very little noise. It really is the perfect house mate for your other components if your build is a small one. 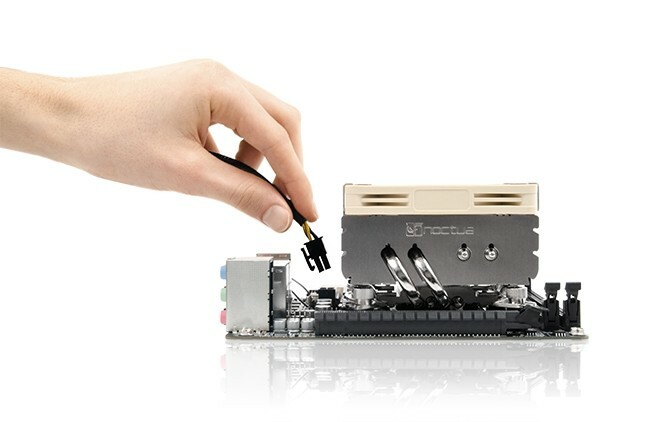 Access to RAM slots, PCIE, jumpers, power connectors etc is not a problem at all. In addition, the L9x65 is also able to cope with a minor to mild overclock. This was something that we noticed because we were re-testing all of our graphics cards with the Division and for DX12 which meant that we needed to hit that little release lever on the PCIE slot a lot more than usual. Whilst this would still have been easy to reach with the NH-D15S, the little L9x65 made life easier just the same – especially for cards with a back plate. 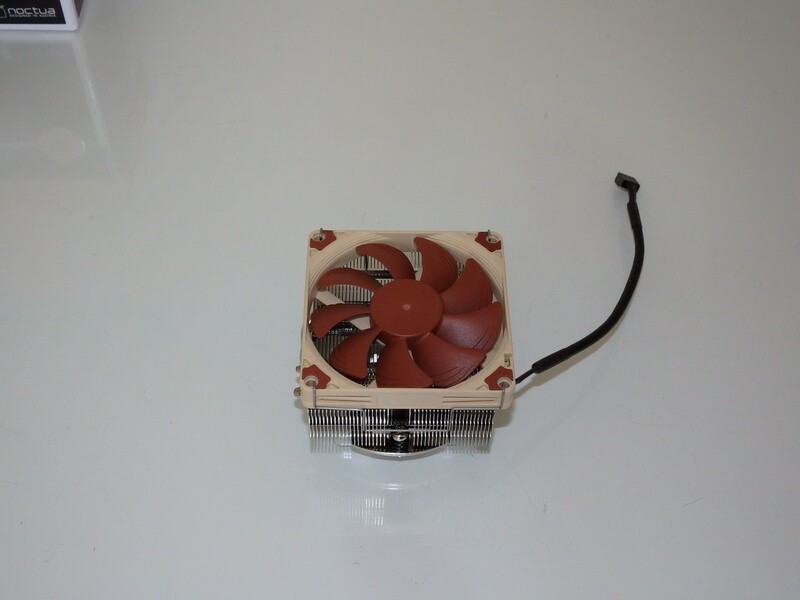 As usual for Noctua, the build quality is excellent. 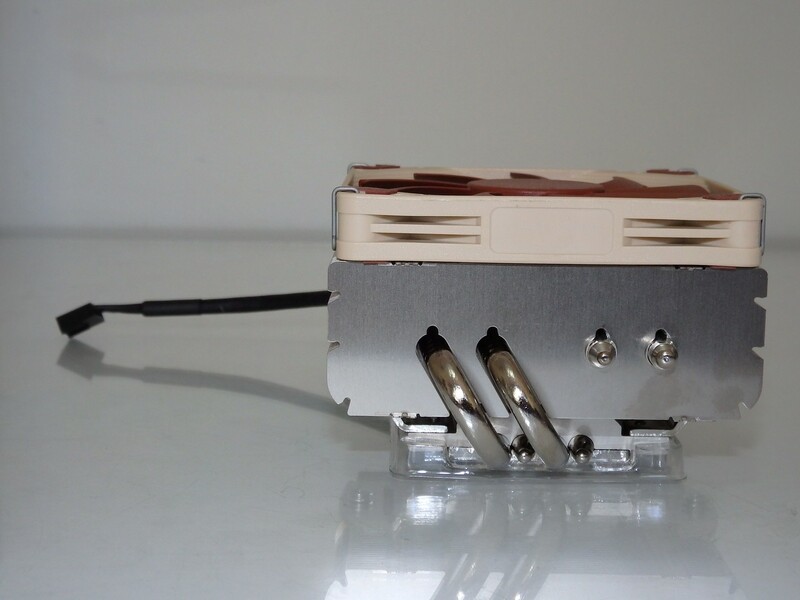 The polished base is like a mirror, the fins were all evenly spaced and undamaged, the fan and cable braiding exactly as it should be. When mounting the NH-L9x65, it just went together exactly as per the instructions with no ambiguity or fuss. On the first boot the unit came to life without a sound and it was a pleasure to use throughout our testing. 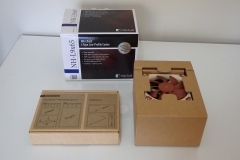 The packaging is also worth a mention as Noctua continue to set the benchmark in keeping their kit safe from the factory to your rig. Whilst it probably is overkill, it is good to see a manufacturer maintain the high standard across the entire product delivery – packaging, build quality, performance, instructions and accessories. 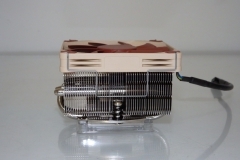 Previous articleAMD Wraith Cooler: Best Stock CPU cooler yet?